The agreement was signed in Mexico by Paula Bellizia, Vice President of Sales, Marketing and Operations for Microsoft Latin America; Felipe Labbé, CEO of Global Hitss; and Manuel Otero, Director General of IICA. They are accompanied by executives from the three organizations. Mexico City, 5 April 2019 (IICA). Microsoft Corporation, Global Hitss (a subsidiary of América Móvil), and the Inter-American Institute for Cooperation on Agriculture (IICA) have established a partnership to offer technological solutions for the agriculture sector, which will enable the sector to boost its contribution to sustainable economic growth in the region by better managing its activities, increasing trade and taking greater care for natural resources, thereby increasing the well-being of rural dwellers. Through this partnership, Microsoft, Global Hitss and IICA will seek to accelerate the digital transformation of the agrifood sector in Latin America and the Caribbean, by developing and implementing technological tools that support the growth and boost the well-being of rural communities. 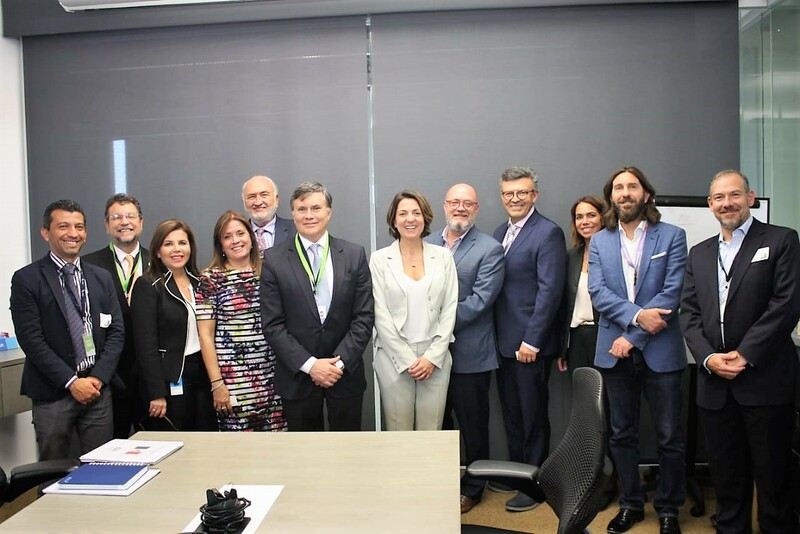 The agreement was signed in Mexico City by Paula Bellizia, Vice President of Sales, Marketing and Operations for Microsoft Latin America; Felipe Labbé, CEO of Global Hitss; and Manuel Otero, Director General of IICA. Argentina and Brazil will be the first countries to benefit from the agreement. Agricultural producers from the northwestern region of Argentina will have access to apps for managing water and pest diseases, while Brazilian farmers will benefit from chatbots that will answer any queries about their farms and contribute to improving their management. The projects will implement innovative tools that provide the agriculture sector with technological solutions for adequate natural resource use and pest control, as well as quality information for decision-making. Based on their areas of work, IICA will contribute technical knowledge on the region’s agriculture and rural sector, Microsoft will provide the technology required, and Global Hitss will develop a broad portfolio of digital solutions. “Research and innovation in the agriculture sector are key for combating poverty in the world. Therefore, we are constantly developing agricultural projects in order to achieve a sustainable, clean system that reduces food waste on our planet,” stated Bellizia. “The agreement affords a valuable opportunity to generate results and transformations in the agriculture sector through our technology,” added the Microsoft executive. “At Global Hitss, we are committed to the development of a Digital Society through innovation in solutions and services. This is a great opportunity to contribute, together with IICA and with Microsoft, to boosting the productivity of a sector that plays a crucial role in the region’s economic development, thereby improving the quality of life of its inhabitants,” remarked Felipe Labbé, who cited examples of ways in which technology contributes to the development of countries, industries and organizations. On the other hand, the Director General of IICA highlighted the fact that the objectives of the partnership coincide with those of the specialized agency of the Inter-American system. “IICA’s commitment will translate into the development of technology-based solutions, and will contribute to economic growth, sustainable development, regional and international trade, as well as the resilience of rural territories and agrifood systems,” noted Otero. The agreement will promote a widespread use of the tools developed by Microsoft and Global Hitss—which utilize different technologies such as Internet of Things (IoT), Big Data, and Artificial Intelligence (AI)—among stakeholders of the agrifood sector. The partnership will also focus on generating additional joint projects related to information, communications and digital transformation technologies applied to agriculture, in order to resolve the specific issues and needs of the agriculture sector in countries across the hemisphere. Microsoft has a wealth of experience in digital inclusion and transformation, especially in initiatives targeting young people and vulnerable populations. Through their current partnership, Microsoft and IICA, the specialized agency of the Inter-American System for agriculture and rural development, are working together to establish cloud platforms with state-of-the-art technology to offer training solutions, virtual reality and the Internet of Things, to assist young people and women working in rural areas, in particular. Microsoft and IICA have already developed Internet of Things and Artificial Intelligence prototypes, for the purpose of tackling diseases in coffee farming. Global Hitss, a subsidiary of América Móvil, offers digital solutions and IT services. It has 30 years of experience in the market and more than 8 thousand collaborators in Latin America, the United States and Europe. América Móvil is the leading supplier of telecommunications services in Latin America.